Humboldt County District Attorney investigators arrested a Rio Dell police officer today on suspicion of domestic violence. Kevin Harralson, a six-year veteran of the force, was taken into custody without incident on two counts of battery on a cohabitant and one count of exhibiting a firearm (both misdemeanors) stemming from alleged incidents in August and March. The arrest was made with the cooperation of the Rio Dell Police Department, according to a press release from the DA’s Office. Rio Dell Police Chief Graham Hill generally declined to comment on the situation, referring inquiries to the DA’s Office. But Hill did say his department is conducting an administrative investigation parallel to the criminal one, and that Harralson has been placed on administrative leave. Hill also clarified that none of the alleged conduct is believed to have occurred while Harralson was on duty. Harralson was booked into the jail at some point today, with bail set at $100,000, but he had been released from custody as of 4:30 p.m., according to jail staff. Attempts to reach District Attorney Maggie Fleming were not immediately successful. 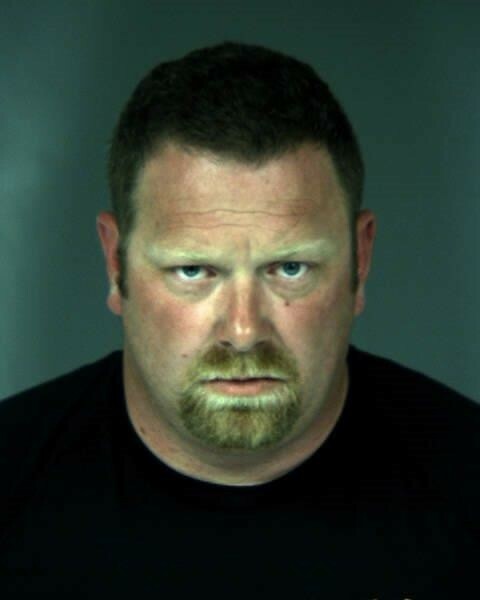 On 06-05-15, Humboldt County District Attorney Investigators arrested Kevin Harralson for two counts of PC243(e)(1) – Battery upon a cohabitant, and one count of PC417(a)(2) – Exhibiting a firearm. Harralson, a police officer for the City of Rio Dell, was taken into custody without incident and with the cooperation of the Rio Dell Police Department . He was booked at the Humboldt County Correctional Facility where bail was set at $100,000.00. The arrest was the result of an ongoing investigation by the Humboldt County District Attorney’s Office regarding incidents in August 2014 and March 2015.
without incident in cooperation with Rio Dell officials.